This felt play food was a huge hit with Cherry, her kitchen is her favourite toy by far and she is always pretending to cook things but I don’t like all the plastic pretend food so I decided to make her some instead. 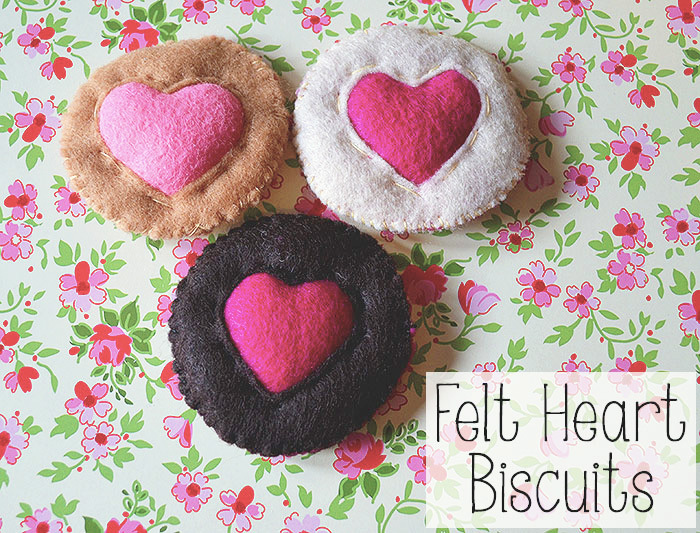 These are supposed to be like jammy dodgers but instead of a circle I made a heart shape. 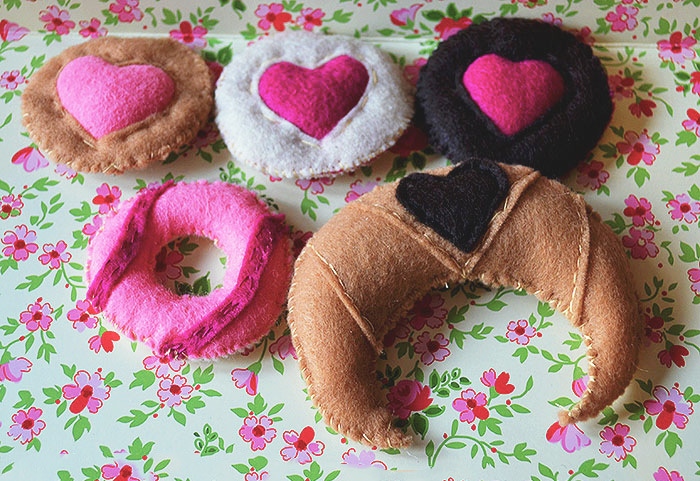 I cut three circles out of a sheet of felt, using a different colour for the middle circle (pink in this case). 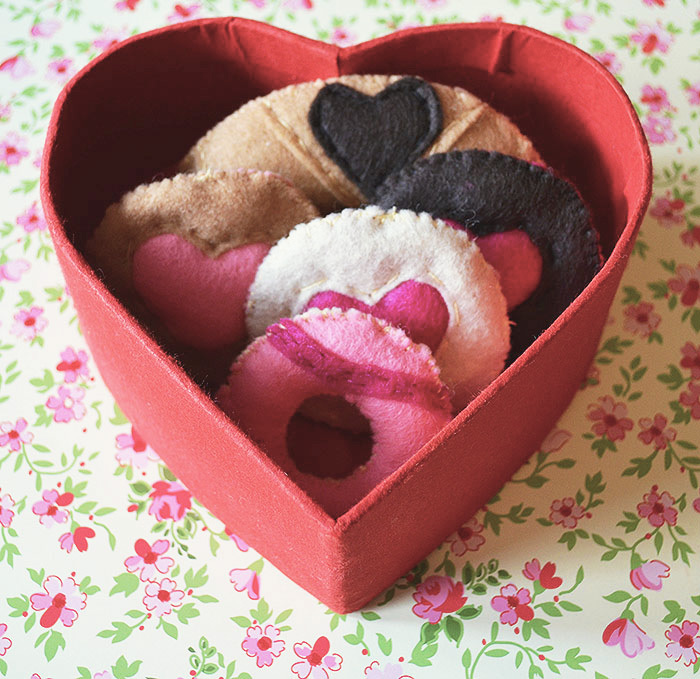 I cut a hole in the middle of the top circle then stitched around the heart to join the two circles together. Then I put them on top of the third circle and started stitching around the outside. When you get to the last inch or so stuff the biscuit with the stuffing then sew up the hole. 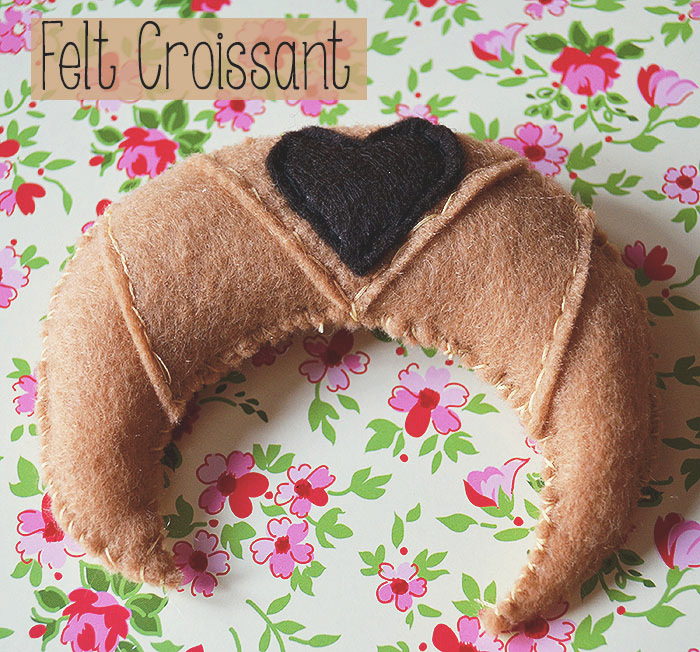 This is a felt croissant and I used three pieces of felt to create the wrapped around look then sewed one of the hearts left over from the heart biscuits on the front. I cut a piece the same size for the bottom and sewed around the outside whilst stuffing. 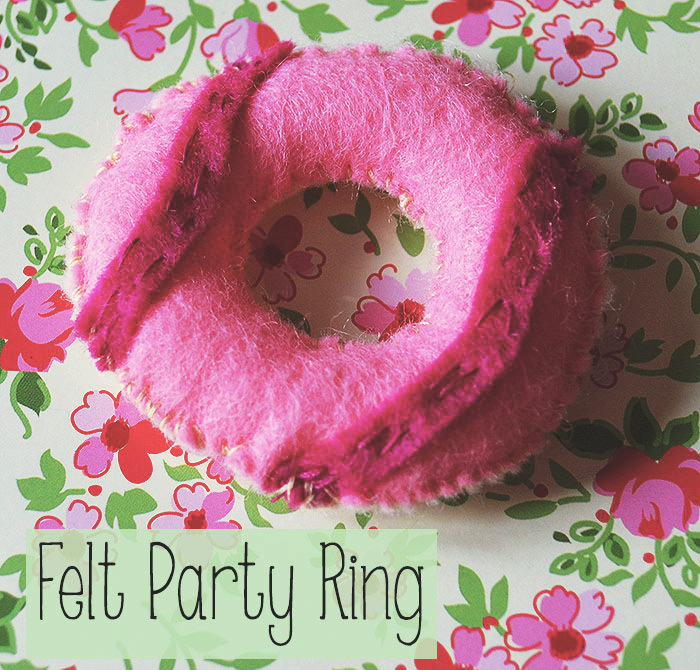 And this is a felt party ring. I cut a hole in the middle of two bits of felt, sewed the zig-zag pieces on top then sewed around the outside while stuffing. Next on my list is some tea bags and other types of play food. These play food biscuits are really good for role play games and Cherry loves serving them to me on a plastic plate with a pretend cup of tea. Follow Jess @ Along Came Cherry’s board FOR MY LITTLE PEOPLE on Pinterest.